In a remarkable open letter to Supreme Leader Ali Khamenei, renowned philosopher Abdolkarim Soroush predicts the end of religious despotism in Iran. He is the preeminent living thinker of Iranian Religious Intellectualism which aims to reform Islam and associate the values of religion, pluralistic democracy, and tolerance. The movement is an extension of the works of philosophers such as Kant, Hegel, and Karl Popper, but it is also heavily influenced by Persian mysticism, often embodied by the 13th-century poetry of Rumi, of which Soroush is also a world expert. Known as the Islamic Martin Luther, Soroush was featured in Time Magazine's list of the 100 most influential people in the world in 2005. 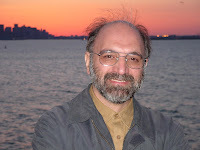 'Nobody studies modern liberal Islam without studying Soroush,' said Roy Mottahedeh, an Islamic-history professor at Harvard University, in that issue of Time. Soroush welcomed the revolution and held several senior academic positions within the establishment, but his opposition to the concept of velayeteh faghih, or guardianship of the jurisprudent, which is the basis for the Supreme Leader's power, put him at loggerheads with the regime. In the 1990s, he increasingly became the target of attacks and finally left the country in 2000. In the 1970s, he turned to the study of history and the philosophy of science at Chelsea College, London, after obtaining a doctorate in chemistry. He currently teaches at Georgetown University, but has also held posts at Harvard, Yale, Princeton, and Columbia. Soroush published his open letter to Khamenei on Thursday September 10. The following is a translation of the first part of Soroush's letter. The blood-stained wedding ended and the false groom left the bridal chamber. The ballot boxes shook and the fiends danced in the darkness. The victims stood watching in their white shrouds and the prisoners, their hands cut off, clapped. And the world, one eye filled with rage, the other with hatred, bore off the groom. The times wept and blood flowed from the republic's brow. The Devil laughed and then the stars were extinguished and virtue fell into a slumber. In this drought of virtue and justice, everyone has complaints against you, but I thank you. Not that I have no complaints. I do, and many, but I have set them before God. Your ears have become so full of the praises and caresses of sycophants that they have no room for the voices of those with grievances. But I thank you greatly. You said, 'The sanctity of the regime has been rended' and it has been disgraced. Believe me, in all my life I had never received such good news from anyone. My compliments to you for announcing the misery and affliction of religious despotism. You were prepared to allow God to be shamed, to preserve yourself from shame. I am joyous that finally the sighs of morning prayers have reached the celestial spheres and awakened the fires of divine vengeance. You were prepared to allow God to be shamed, to preserve yourself from shame. To have people turn their backs on piety and religion, but not turn their backs to your guardianship. That tradition and the path and truth be crumpled up, so that not a wrinkle would befall your leadership. But God did not want this. The pained hearts and muzzled mouths and spilled blood and cut hands did not want it and prevented it. The pure and the devout and the prophets did not want it. The deprived and the peacemakers and the oppressed and the righteous prevented it. 'The fairy hides her face as the fiend is about,' (NB Soroush is quoting a line from the beloved Hafez's ode number 64) this is the story of your republic of guardianship. Praise God that the veil of this fiend's false purity has been torn. His secrets have been disclosed, his hands opened, and his guilt placed before the sunlight. And the world has looked upon its naked form with anger and astonishment. I know that you are passing through bitter and hard times. You have committed an offense, a severe offense. I explained this offense to you twelve years ago. I told you to choose freedom as your method. Forget that it is virtuous and just, choose it as a method of successful governance. Is this what you want? Why are you doing things backwards? Why do you send denouncers and spies among the people to look into their hearts and pull words from their mouths through trickery, and then report lies and truths to you? Leave the press, political parties, associations, critics, teachers, writers... alone. The people will express themselves in a thousand ways and cast open their windows to you and help you in organizing the country and the system. Don't strangle the press. The press is the breath of society. But you took dead ends and weaving paths. And now your are under the spell of nothingness and have become the prisoner of a closed regime that you yourself created long ago, in which neither criticism, nor opinions, nor science, nor information flourish. You think that by reading confidential bulletins or listening to subservient advisers, you will grasp the reality of what is going on. Both the election of Khatami and the green election of Mousavi must be obvious to you, otherwise disdain and the charms of despotism would not have chased away the knowledge and shrewdness within you. And now, to make up for that sin, which is due to ignorance and despotism, you are turning to even greater crimes. You are washing blood with blood in order to regain purity. You are washing blood with blood in order to regain purity. I was amazed by God's patience. I knew that bereaved mothers and fathers were weeping behind closed doors and asking God, Save us from this place of oppression and send us succor. [...] The prisons were temples where worshippers genuflected day and night, and prayed -- and are still praying -- to God for the collapse of the guardianship. I want to tell you that the page has turned and the regime's fortunes have shifted. It has been disgraced. [...] Even God has turned His face and taken His light from you. Those acts you committed in secret places and behind curtains have been revealed. [...] Even the path of repentance has been closed to you. Religion will not intercede in your favor, you who have lost legitimacy. The green Iran will no longer be that black Iran of devastation. This movement's whiteness and greenness have taken precedence over the blackness of your tyranny. The earth and water and fire and clouds and winds... are aligned against you on God's orders. [These acts] lit a blaze in the conscience of the people that burned the house of the guardianship. The post-election protest was neither a military exercise, nor sedition, nor the Zarrar Mosque -- a term you have coined in your mint and employ often. (NB The Zarrar Mosque, mentioned in the Koran, was built by religious hypocrites to tempt the true Muslims.) It was an outburst of honor over plunder. The people, with awakened consciences, defended their vote, their elected choice, their rights as citizens, and their freedom of thought in a calm and collected manner against those who would plunder their vote and rights and freedom. The thieves were up in arms, but we heard God's laughter. He was satisfied with us. He had heard our prayers and had disgraced the murderers and the wrongdoers. Taraneh Mousavi's death was the death knell of tyranny. I read your open letter, and whilst I agree and believe in your right to free expression, I couldn't disagree with you more. Sayyid Ali Khamenie is a good man, and a leader that we Iranians are proud of. He is humble, not corrupt (have you seen his home) and is a source of inspiration for many, myself included. Yes there are some Iranians who are not with him, but your letter is so way of the mark it's almost laughable were it not for the seriousness of the issue. It's a shame we're not on the same 'side', but we love the Islamic Republic and we will do all we can, however little it may or may not be, to protect it inshallah. I'm sorry for you Ahmed. You must be one of the few minority who are opressing us in Iran.I's amazing that you believe in free expression since there's no such thing in Iran.Your leader's hands are stained with blood of Iranian youth. Let a referundum be done and we'll see how many are inspired by your leader. I share your respect for free expression and you certainly have a right to express your views. However, I don't respect lies. Your spellings and word choices seem to show you are an Arab, which is perfectly respectable, but is not who you say you are. Ahmed is probably a US or Israeli propagandist. They will then use this comment as "proof" you can not deal with Iran. Be careful of this in the coming days approaching UN meeting. Read on who Soroush is or was in contriubting to establishing the murderous regime. The article is the original text of Soroush letter in Persian but the comments are in English and give you an insight to the character of this man. You need to read all the comments on that thread.